Will French success continue on home soil? It’s time for your fortnightly update on the world of professional fighting game competition! Quite a lot has happened in the past fourteen days and there’s some huge events on the horizon, so let’s end this ridiculous, over-thought introductory paragraph and move on to 700-or-so words about what has been going on. Justin Wong (if you’re a total newcomer to the scene, you might remember him as being on the receiving end of that Daigo video everyone has seen) has established a dominant position at the top of the US and Global Pro Tour leaderboards with a couple of first place finishes at Ranking events in the past two weeks. He bested Julio, fresh off of his win at Texas Showdown and new sponsorship from Echofox, to take home the gold at North-West Majors in Des Moines and then, last weekend, bested Team Liquid’s NuckleDu in the finals of DreamHack Austin. After a particularly lacklustre end to his Street Fighter IV career, where he washed out of Capcom Cup 2015 0-2 and didn’t even make top 64 at EVO, JWong’s Karin has been looking better and better with each event and, right now, he’s reclaimed his place as America’s number one. Only Razer’s Infiltration holds a spot above him in the Global Pro Tour rankings. The first Asia circuit ranking event took place this past weekend in Thailand, at the brilliantly named ‘Thaiger Uppercut 2016’. The top eight was filled with some top names from the region—Gamerbee, Haitani and Dogura to name a few—but the grand final was contested by some less recognisable names. Eventual winner Eita took on the travelling Frenchman Saunic. They’re consistent, solid players based on their previous Pro Tour records, but both made a big mark on the Pro Tour rankings. 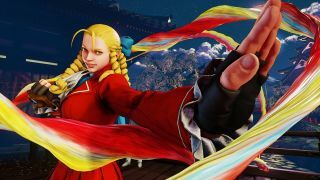 The CPT Asia continues this weekend at Battle Arena Melbourne 8—will any other surprise names make an impact? One of the coolest parts of this event was the appearance of Sagat Petchyindee, the real life Sagat. A legendary Muay Thai fighter like his in-game counterpart, with over 300 professional fights and very few losses to his name, he jumped on stream at one point to be interviewed by Gootecks. Whether he can throw fireballs from his fists or not was, sadly, not discussed. You can check that (and then the rest of the top eight action!) below. We’re only a few months removed from the release of SFV and the start of this new Pro Tour and already the bigger esports sponsors are starting to find their way into the FGC. Rich Fox has used his NBA millions to found Echofox, who’ve picked up Julio Fuentes after his Texas Showdown win. Team Secret recently picked up Korea’s Poongko, who is currently struggling to get off the mark in Street Fighter V but was an absolute machine in USFIV. Team Liquid have had NuckleDu on the books for a while now, which is looking like a shrewd investment after some consistent top eight performances in 2016—all before his ‘main’ Guile had even been released. Budweiser appear to be making a bit of noise about getting into the esports market. In fact, as I write this at some ungodly hour in the morning, Alex Myers has just tweeted that he has been picked up by Ronin! Obviously, Evil Geniuses and Red Bull have been around the FGC for a while now, but it is good to see some of these other huge teams starting to build a presence in fighting games. It’s positive for the scene and the players and a clear sign that things are growing at a rapid rate. By the time the next column rolls around, we will have had the first European Premier Event—StunFest—in Rennes, France. As a Premier, there’s an automatic qualification spot for the Capcom Cup up for grabs, as well as double the usual amount of CPT points for those finishing inside the relevant positions. Needless to say, Premier Events attract players from all over the world, not just the region they take place in. A who’s who of Street Fighter showed up for last year’s event, won by none other than Daigo Umehara, who has confirmed he will be attending. Perhaps one of the more interesting wrinkles to this event is the emergence of some really good French players during this year’s Pro Tour. Of course, there’s Luffy and Valmaster, who have always been the two most notable names in the French scene. Now you’ve got to consider Mister Crimson, who won the first Pro Tour event of the year and looked good at FrogByte. This past weekend you also had Saunic taking 2nd place at Thaiger Uppercut and Will2Pac finishing in the top eight all the way over at Dreamhack Austin! Will this be enough? Will the French be able to defend their turf from the very elite of SFV? It is going to be an exciting weekend.